”I Can’t Escape from You” is a tune composed by Richard A Whiting. It was recorded by Erskine Hawkins in 1936. This tune was a Bing Crosby hit in the movie ”Rhythm on the Range”, also recorded by Erroll Garner, Dexter Gordon and many other artists – but not by traditional jazz bands! Three years later Hawkins recorded his own composition ”You Can’t Escape from Me”, the first part of which has a partly similar chord structure as ”I can’t Escape…”. Bunk recorded ”You Can’t Escape…” in January 1946 and called it by mistake (?) ”I Can’t Escape from You”. After that a lot of NO revival bands have played it under that name. George Lewis used the proper name ”You Can’t Escape from Me” when he recorded it at Miami University, Oxford, in 1952. 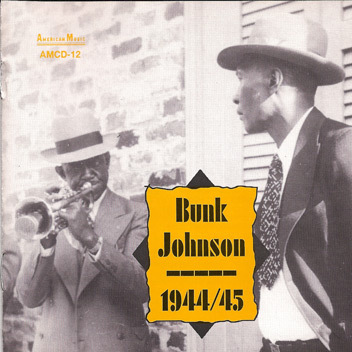 In 1944 he recorded it under the name ”San Jacinto Stomp” (the first version at George’s home, the other two at San Jacinto Hall). 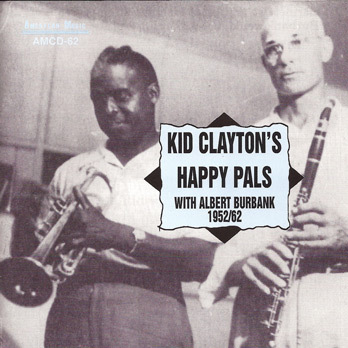 When Kid Clayton recorded it in 1952 with Albert Burbank, Joe Avery et al, he called it ”In the Groove”! To make the story even more complicated: There is an ”I Can’t Escape from You”, composed by Hank Williams Sr! On this clip from the Gota River Jazzmen concert in Forserum, November 9, 2013, our bass player Karl Kronqvist sings the lyrics of ”The Cat’s Got Kittens”, which was also recorded by Bunk Johnson in 1945, albeit not exactly the same tune.